To improve performance, the total size of query sequences in a submission is limited to 5000 nucelotides, no matter it is in a single sequence or in multiple sequences. ESEfinder 3.0 has made a number changes in the output format. In the first page, the user can choose to generate output in either html format or plain text format. 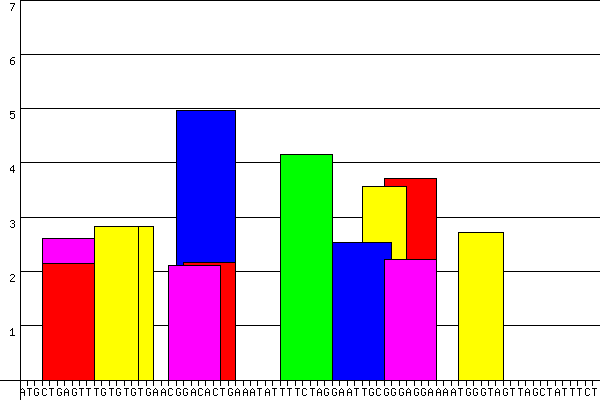 the analyzed (exonic) sequence is reproduced along the X-axis.